Teams will be randomly selected for 2 games of pool play on Saturday. Teams will be re-seeded for Single-Elimination bracket on Sunday. To register your team via our website, click here. ROSTERS: Rosters are due to Tournament Director at check-in. Team managers must bring copies of birth certificates, to be verified at check-in, and sign a form verifying insurance. 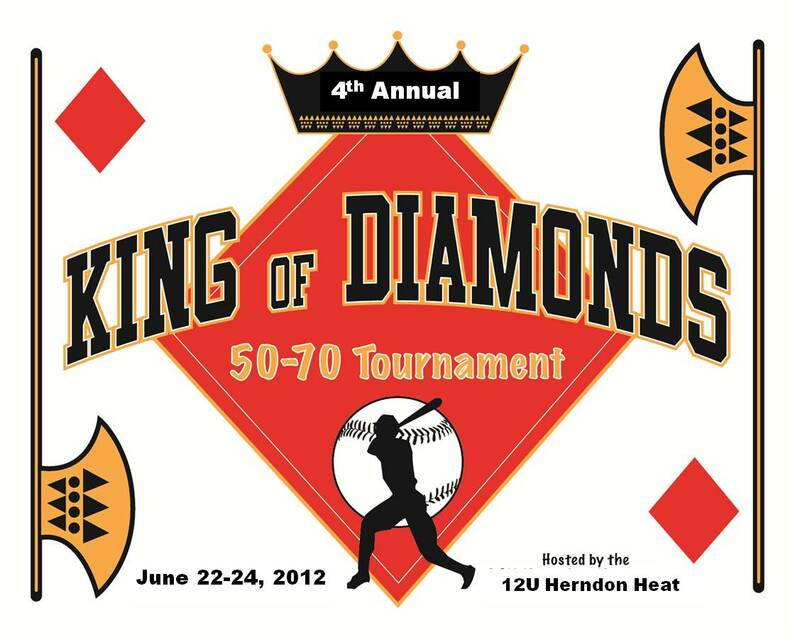 REFUND POLICY: Full refund will be given up to teams who notify tournament director of withdrawal by June 1, 2012. After June 1, 2012, a refund less $100 administrative fee will be issued. PLAYING TIME AND LINEUP: There will be 9 defensive players. All players on roster may bat. Playing time is at the discretion of team manager. HOME TEAM: Home team is determined by coin flip during pool play. Seeded single elimination play, home team is the higher seed. If time allows, each team can have 5 minutes of infield practice before game begins. RUN RULE: No per inning run limit. Mercy rule applies to a team leading by 12 or more runs after 4 complete innings, or 10 or more runs after 5 innings of play (or 3 ½ innings if home team is leading). BASEBALLS: Tournament host will provide 2 new balls before the start of each game.